I love everything this gal does! Krista Moser has so much talent and personality – she is destined to be a rock star in our industry! Just look at what she has created with her new Creative Grids® 60 Degree Diamond Ruler! This quilt combines the techniques that are featured in many of her patterns and removes the intimidation factor. Each diamond pattern is repeated twice and takes just a few hours. Why not feature this at your next retreat? Share a technique, give them a few hours to sew….repeat! 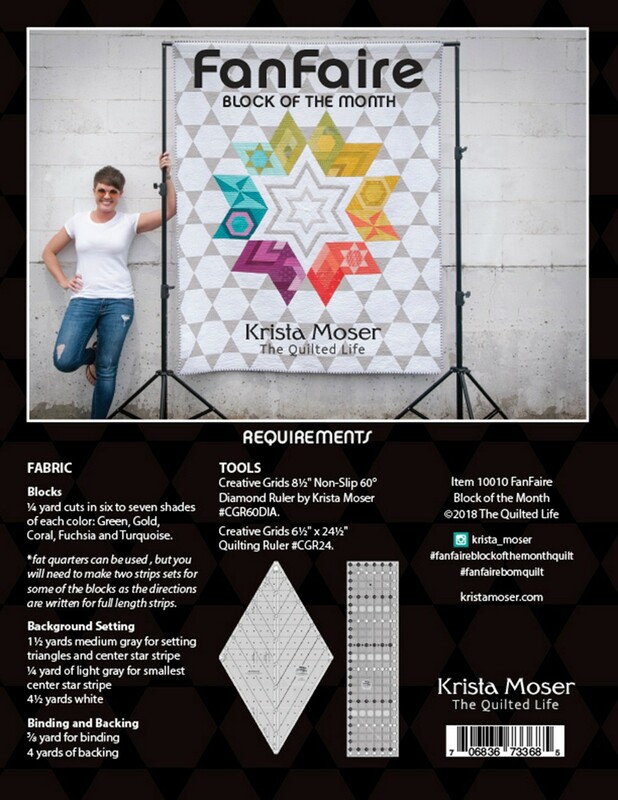 Better yet – invite Krista to teach at your shop or guild. Contact her at The Quilted Life. Her personality lights up a room. And, she loves to share her knowledge of quilting and longarming. What a combination! The pattern is due to arrive in September so order now!